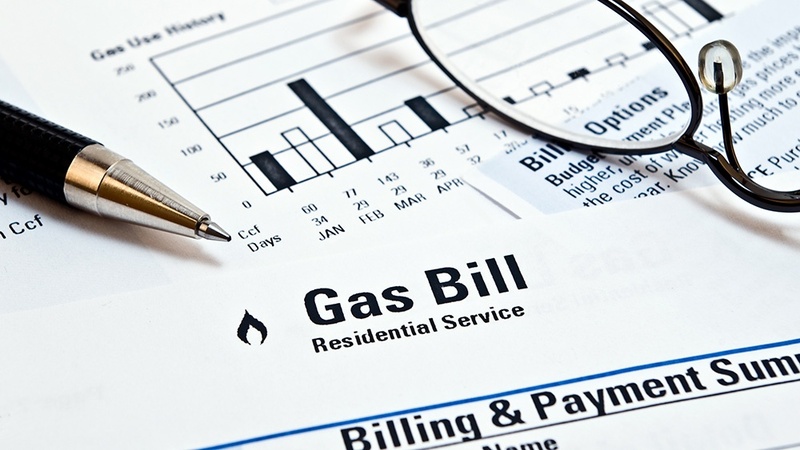 Energy providers offer home energy audits as an affordable way to save money on energy bills. Energy audits diagnose ways that your home is losing heat in the winter. Energy audits find air leaks around drafty doors and windows, improper attic or basement insulation, and other heating problems in your home. These heating problems may have a big effect on the heating bills. After finding heat-losing areas, invest in energy-saving measures for a more heat-efficient home. Contact a local energy provider to learn about energy audits in your home. A huge HVAC problem in the winter is uneven heating. Most homeowners continue to turn the thermostat up when they don't feel heat. This causes heating bills to skyrocket. Uneven heating could be due to blocked or closed ventilation. If you notice that a particular room won't get warm, this could be a sign of poor air circulation. Locate the room's air vents, and ensure they're opened and clear of furniture. Don't manually close off vents to focus heating in one or a couple rooms. This puts unnecessary stress on the heating system. Another cause of uneven home heating is furnaces. A dirty furnace filter restricts the amount of air circulating your home. This could lead to rooms not receiving enough air to heat. Make sure the furnace is a proper size for your home’s heating needs. A furnace that's too big or too small leads to heating problems. Another cause of uneven home heating is air stratification. Since warm air rises, rooms at the top of your home are warmer than your basement. To solve this heating problem, set the fan to "on", not "auto". This reduces the energy used to reach a comfortable temperature on the lower floors. You can also use destratification fans, which are common for rooms with high ceilings. These fans force the rising hot air down to those on the ground level. Thermostats impact the heat in your home positively and negatively. By turning the thermostat down between 8 to 10 degrees Fahrenheit for an eight-hour time period, you save 10 percent a year on the heating bill. While monitoring the thermostat seems like an extra chore, modern HVAC makes it simple. Programmable thermostats make temperature adjustments easier and accessible from anywhere. Drafty homes impede comfort and costs money. Research found that 25 percent of lost home heat is going right out the window. Older windows allow cold air to seep into your home. This alters the thermostat reading and causes your home to increase the heat and raise the energy bill. Check the weatherstripping and caulk around the windows. The reapplication of a layer of caulk serves as a temporary fix to drafty, older widows. A second solution to this heating problem is to apply a clear plastic film. These films are applied using a heating source. The heating source tightly presses them against the window frame. These films reduce heating costs by as much as 14 percent. Warner Service knows that heating season can bring a much higher energy bill than the rest of the year. Keeping you and your family warm is important, but it doesn’t have to break the bank! Here are 3 quick tips to save money on your heating bill this winter! Energy providers and other businesses offer Home Energy Audits as an affordable way to start saving money on your energy bills. Energy Audits help you to diagnose ways in which your home is losing heat in the winter (or air conditioning in the summer). Those energy audits can help you to find air leaks around doors and windows so that you can plug them and keep your money from flying out into the cold! You will also discover areas with improper insulation and find other small issues within your home that may be having a big effect on your heating bills. By diagnosing those heat losing areas, you can put measures in place to make your home more heat-efficient this winter. Contact your local energy provider today to learn about options for energy audits in your home. Sometimes one of the best ways to save on your heating bill is by not using it in some areas. This is called zoning, and can be very useful in large homes or if you have rooms you don’t use very often. Zoning lets you control which rooms receive heat and which don’t. Some homes utilize full forced-air heating systems that offer zoning control, but you can also achieve a form of zoning yourself. Simply close the vents to the room you do not wish to heat (as long as your thermostat is not in that room!) and use a space heater when necessary. Also useful could be a wood-stove, fireplace, or even an electric blanket! You don’t need to have your heat on all the time, only when you can really utilize it. Instead, set your heat lower when you sleep or when you’re away, and only turn it up when you’re home and awake. Or, simply learn to “buck up and bundle up”. The final resort may be just to lower your thermostat to around 60 degrees and wear extra layers in the house. If you don’t want to go that cold, then purchase a programmable thermostat and come up with a good heating schedule for you to lower the temperature when you’re not awake or home. Warner Service knows that it can take a lot of preparation and planning to get the most out of your home heating system, but the savings are worth it! If you need help getting your system ready and optimized for this winter, contact Warner Service today! - See more at: http://warnerservice.com/3-winter-heating-tips-to-save-you-money/#sthash.bVCz6D3K.dpufWarner Service knows that heating season can bring a much higher energy bill than the rest of the year. Keeping you and your family warm is important, but it doesn’t have to break the bank! Here are 3 quick tips to save money on your heating bill this winter!